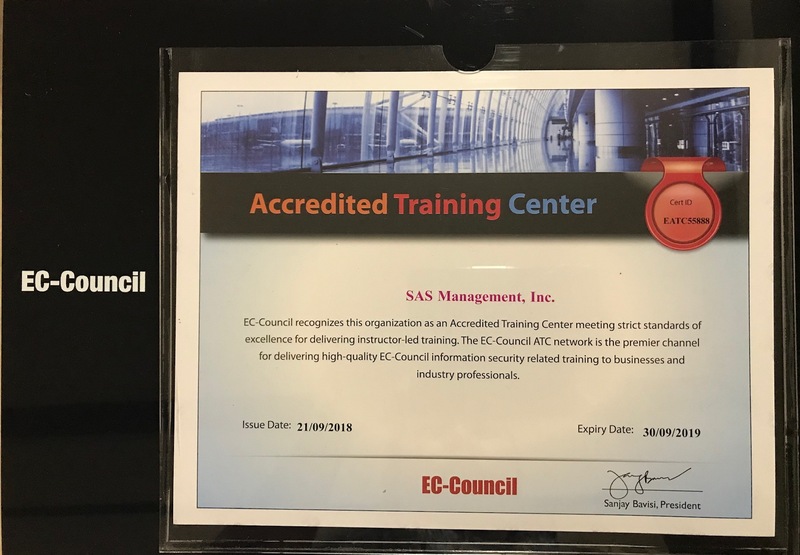 ﻿ SAS Management Inc.SAS Management, Inc., now an EC-Council Accredited Training Center - SAS Management Inc.
It’s no longer what you know. It’s about what you can do with what you know. SAS Management, Inc. is proud to announce that we are now an International Council of E-Commerce Consultants (EC-Council) Accredited Training Center. EC-Council has trained over 330,000 individuals as of 2015 and certified more than 140,000 security professionals. The first course being run is the Certified Ethical Hacker, which started 21 January 2019. The Certified Ethical Hacker course is a comprehensive 5-day Ethical Hacking and Information Systems Security Auditing program focusing on latest security threats, advanced attack vectors and practical, real-time demonstration of latest hacking techniques, methodologies, tools, tricks and security measures. It is recognized by the US Department of Defense. Aside from Malware threats, the course also covers system hacking, sniffing, social engineering, Denial-of-Service, session hijacking, hacking web servers and web applications, SQL injection, hacking wireless networks, mobile platforms, cloud computing, evading IDS, firewalls and honeypots, and cryptography. SAS Management, Inc. is Asia’s leading training and consulting company offering an extensive selection of vendor-accredited training and certifications from top accreditation bodies/partners, such as EC-Council, AXELOS, PEOPLECERT, PMI®, PECB, APMG, ISACA, SDI, Gamingworks, and IASSC, and has trained over 52,000 professionals worldwide. 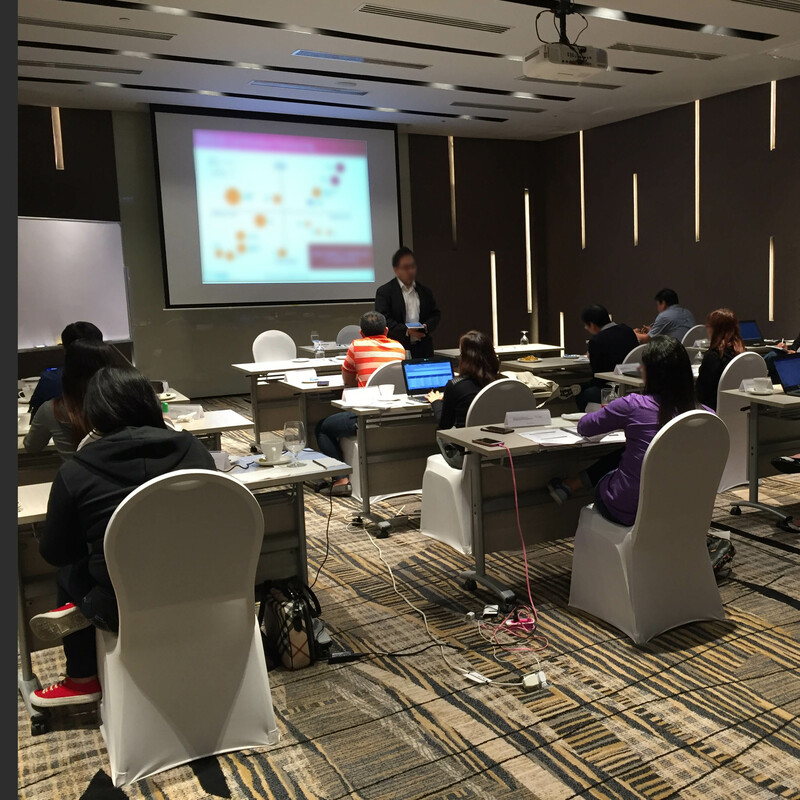 SAS Management, Inc. has offices in Makati, Ortigas and Cebu, as well as in India and Malaysia. You may visit our website at https://www.saservices.com.ph.